Mr. AS (Patient Identification Number: 13702), thirty five years scientist in BARC from New Mumbai reported with the complaints of Meniere's disease. Complaints started 2 years back. He also had complaints of frequent cold and under active thyroid. He reported at Life Force in May 2010. Patient presented with severe giddiness(vertigo) and continuous hissing sound in left ear along with hearing loss. He also complained of fullness sensation in the ear. He used to get such episodes regularly, i.e. every week, with some fluctuation in intensity. His Audiogram reports showed moderate to severe sensory neural hearing loss. His BERA (Brainstem evoked response audiometry) and MRI studies were within normal limit. Whenever he would be traveling there would be aggravation of the complaints. Because of that he could not even drive his car which was the worst part according to him in his life. He was taking Allopathic medicines for the same without any considerable improvement. Mr. AS was also suffering from backache, mild hypothyroidism (TSH – 5.4) which was not being treated with conventional medicines; he also suffered from frequent cold in the form of 20-25 sneezing in morning in spite of taking all precautions. He had average appetite with craving for sweets and chicken. There was strong aversion for spicy food. Thermally he is more sensitive to cold. As a person Mr. A.S. was reserved and down to earth with good controls over his emotions. His childhood was very happy. He appeared mild and gentle while answering the questions during clinical session. He was behaving in very sober way. He was a very responsible person and he was pursuing his PhD studies. Patient had kidney stone in 2002, chicken pox in 2008. 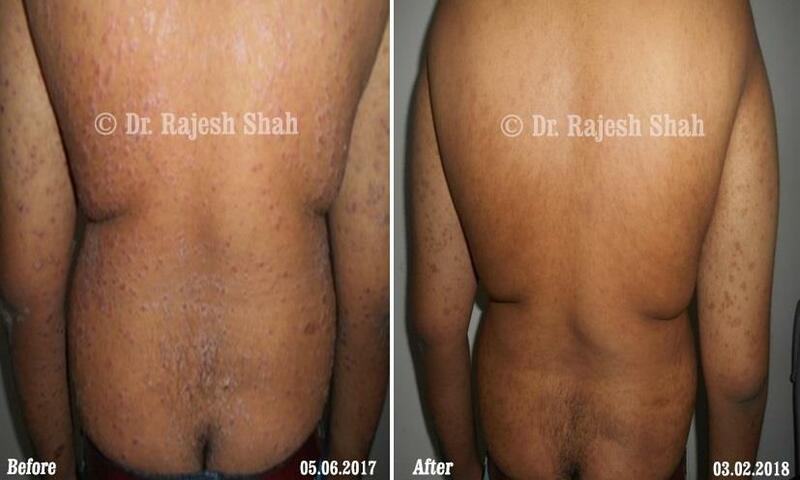 After studying all the details, Dr Rajesh Shah prescribed him constitutional Homeopathic medicines in May 2010. After two months of medicines his frequency of cold reduced but giddiness, tinnitus was same. He was given higher dose of medicines depending on his feedback. In September 2010 he reported happily with 60 % improvement in his giddiness, tinnitus. But still he used to feel giddy while driving a car. He had to stop after every 15 minutes. There was no cold episode since 5 months. After 8 months of treatment, his thyroid level was in normal limit i.e. 4.16 (normal 0.4-4.6). There was just one episode of cold and Mr. AS was able to have family picnic at Goa with a long drive of 8 hours. As his Meniere's disease was more than 80 % better. The case experience once again proved that the main focus of Homeopathic remedy is to enhance body's self healing mechanism. Once it is done, body can naturally take care of itself and remove all the disease forces in a natural and safe way. In Meniere's disease sensory neural hearing loss can not improve with Homeopathy, but all other aspects show a wonderful recovery.